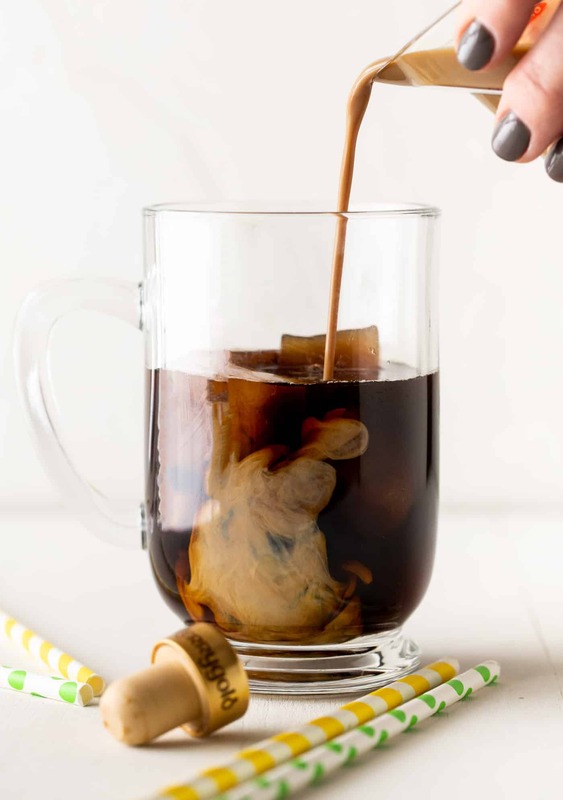 Summer coffee drinks just got an upgrade with this Easy Irish Cream Iced Coffee Recipe. 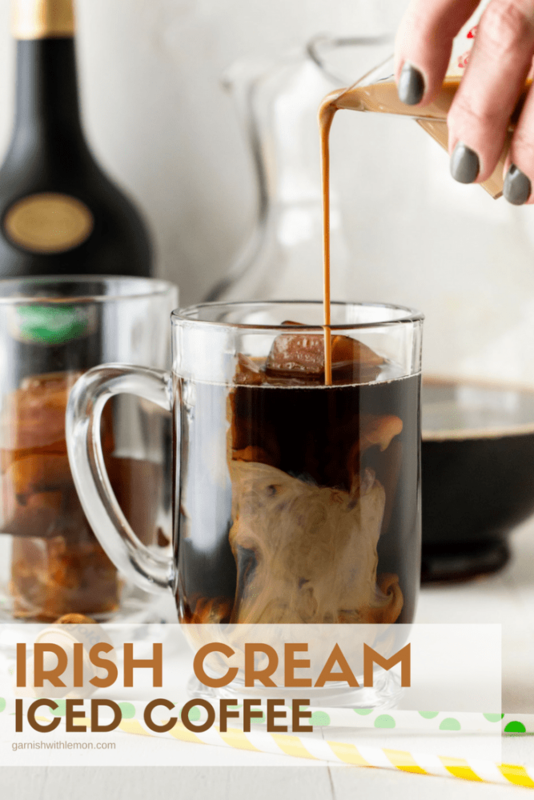 Putting Irish cream into coffee definitely isn’t a new thing. People have been adding a splash to their hot coffee for years. But why stop there? It can be so much more. We took it a step further and created this Irish Cream Iced Coffee recipe that is no run of the mill summer refresher. It’s dessert in a glass. Have you tried Kerrygold® Superior Irish Cream Liqueur? It’s one of our favorites and if you haven’t tried it yet, you my friend are missing out. And we don’t like our friends missing out. Not when things are this good. How is Kerrygold® Irish Cream different than other Irish Cream liqueurs? They start with the good stuff and only use the good stuff. It’s made with Irish whiskey, cream from their grassfed cows and real chocolate. That is the difference. No flavorings, no artificial fillers, just quality ingredients. What ingredients do you need to make an iced Irish Cream Coffee? Why do you use coffee ice cubes? 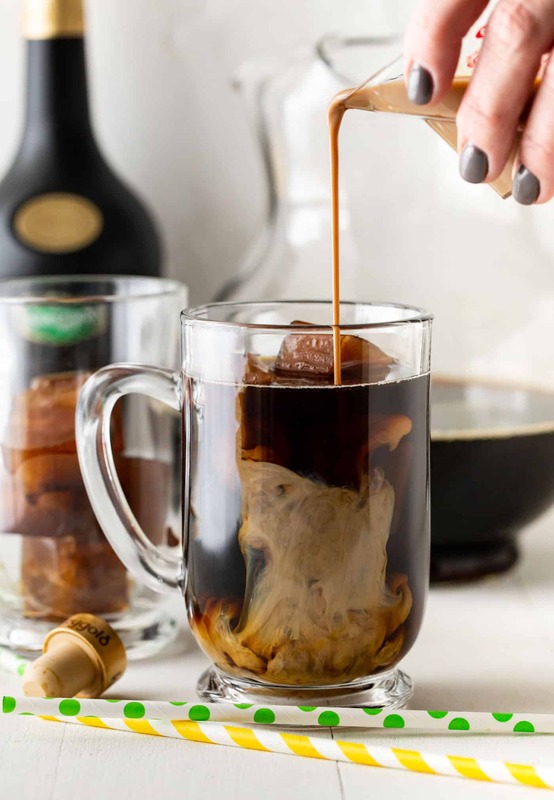 There’s nothing worse than having a delicious cocktail ruined when it gets watered down from your ice cubes and this Irish Cream Iced Coffee recipe isn’t any different. We solved that by using coffee ice cubes. So simple to make but definitely a game changer in the recipe. The difference is in the details. And we didn’t stop with the coffee ice cubes. We added a little creme de cocoa to amp up the chocolate and vanilla vodka to balance it all out. Pour in your Irish Cream, top the glass with whipped cream and you are in coffee heaven. Think it’s too much work? Watch our video to see just how easy it is. How to Make an Irish Cream Iced Coffee. Coffee adds so much to a recipe. Here are some of our favorites ways to use coffee in recipes. 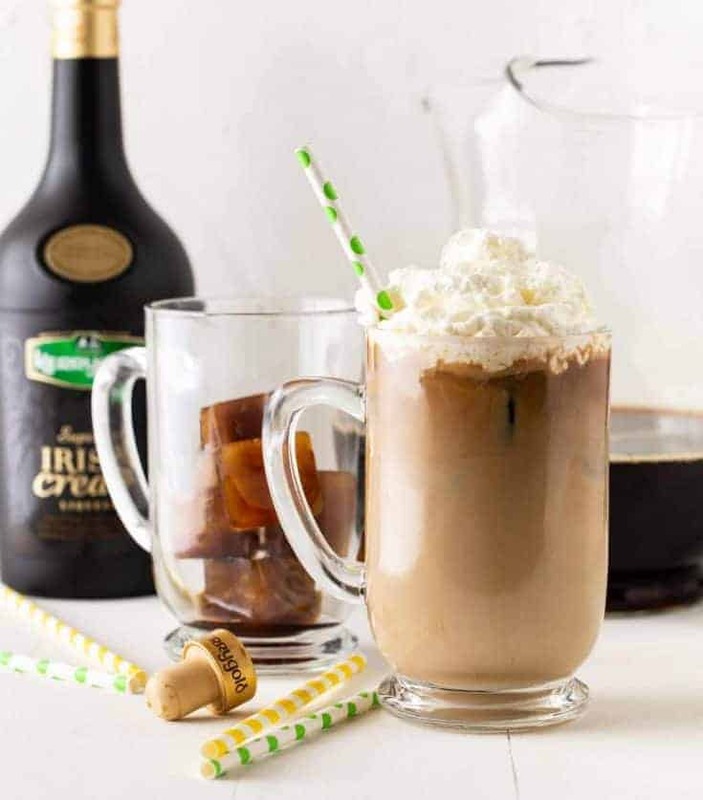 Fill glass with coffee ice cubes and add coffee, Kerrygold® Irish Cream Liqueur, Cream de Cocoa, and Vanilla Vodka. Stir to combine and top with whipped cream. To Make Coffee Ice Cubes: Fill ice cube tray with freshly brewed cold coffee and freeze until solid.